The important thing to bear in mind with a desktop operating system upgrade is that it touches every user in an organisation, it's not isolated to one department or business function. In most large enterprise organisations, you will find a lot of task based, non-IT literate users who just need things to work – they want to get to applications easily and start using them to do their jobs, they don't want to spend time learning to navigate around a new user interface. And where the impact of change is high, the effort and cost associated with training end users increases significantly. This is one reason why Windows 8 adoption has been slow. Want to know all about Microsoft's latest operating system, Windows 10? Let's also not forget that many organisations have been focussed on migrating from Windows XP, which for most enterprises are multi-year programmes. 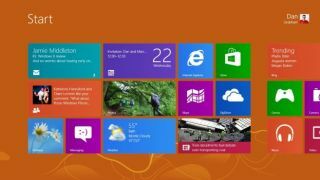 Windows 7 had been chosen as the target platform for their XP eradication initiatives, it was either the only OS available to choose or it was too early in the Windows 8 release cycle for any organisation to place its bets on. Changing course to Windows 8 would have introduced more risk and cost with an in-flight transformation programme. With many large organisations now comfortably on a supported desktop operating system we struggle to see many building, let alone justifying, a business case to make an immediate move to Windows 10 when it's released. The investment to move from XP was large and the level of input required from the business significant, therefore there will be little appetite to make wholesale change so soon when there is no compelling event to do so until Windows 7 end of life in January 2020. It is clear however that adopting an OS that provides a consistent user and management experience across devices will provide significant benefits, and Windows 10 is a great step forward to achieving that in the enterprise. What we have seen with Windows 10 is recognition from Microsoft that the desktop is not dead, and the desktop will be around for years to support the task based, back-office workers who do not need touch or mobile devices to perform their jobs. We will see a gradual adoption of Windows 10, initially with organisations identifying where the adoption of Windows 10 will enable different ways of working that enable competitive advantage, potentially through use of tablets and touch devices. The unified experience makes Windows 10 a more viable proposition than before for touch devices in the enterprise. It will help accelerate adoption in areas where use case scenarios can also enable task based workers who will continue to have a desktop as a primary device to access very specific applications, such as a call centre worker, and this is where there is a great opportunity that Windows 10 can help unlock. There will also be scenarios, such as in retail, where staff may have a back office and front office function, using a desktop in the back office and a tablet to enable better interaction with customers on a shop floor. An OS that works well across both types of devices will be incredibly useful for these types of scenarios, where consistency of experience is maintained, and so Windows 10 will be great addition.